St Andrew’s has a great deal to offer visiting tourists. 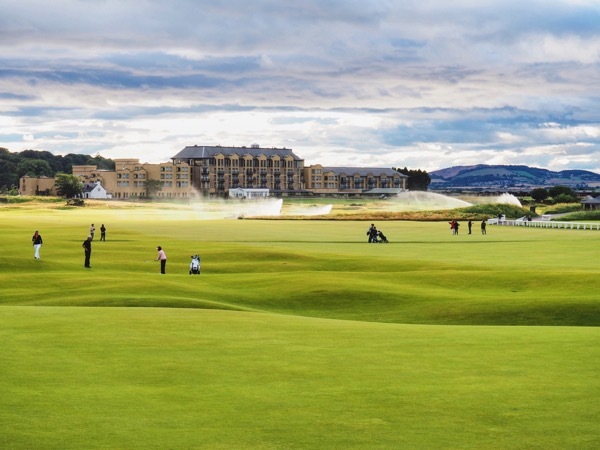 Just 90 minutes drive from Edinburgh and you can indulge in the beautiful surroundings, local history and several of the best golf courses in the world. The remains of the historic St Andrew’s Cathedral make clear just what an awesome building it used to be. Climb up the 160 spiral stairs for some inspiring views or enter the visitor centre for an informing audio tour. Important relics within the cathedral include the impressive St Andrew’s Sarcophagus, dating back to the Picts. 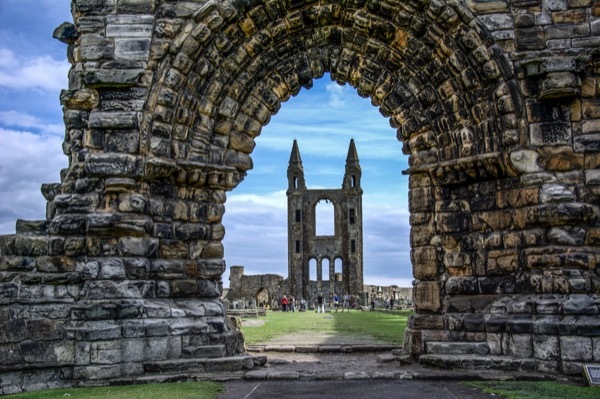 Did you know that St Andrew’s is one of the most haunted places in the world? Explore the old quarter of St Andrew’s with an entertaining guide who, in addition to being a published author, will thrill visitors with tales of ghosts and the paranormal. This award-winning walking tour lasts for 90 minutes. Craigtoun Park is located just 2 miles outside of St Andrew’s and offers a fun day out that the whole family can enjoy. Children can ride the Rio Grande Railway, play crazy golf, hire pedalos and play on the bouncy castles at this terrific venue, which has the Trip Advisor Certificate of Excellence. The on-site cafe is open every day from 1st April until 21st October and serves plenty of hot and cold food, drinks and a very popular selection of ice creams. The Old Course at St Andrew’s is where golf was first played more than 600 years ago. It is for this reason that the town is known as the ‘Home of Golf’ and it still hosts some of the biggest, most prestigious golf tournaments in the world. The adjoining Old Course Hotel is a great place to get lunch or dinner, use the spa facilities or even stay the night if you’re travelling from further afield. 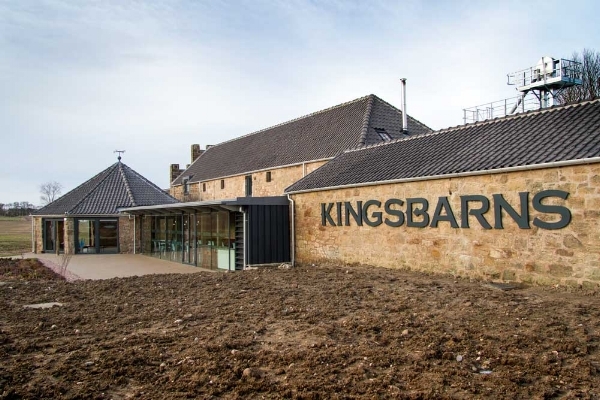 The Kingsbarns Distillery and visitor centre is actually located 9 miles South of St Andrew’s on the coastal road to Crail, near to the Kingsbarns Championship golf course in the gorgeous East Neuk of Fife. The building is a converted steading and now houses a small distillery with tasting rooms, a gift shop and cafe. The cafe is open all year round and offers fresh, locally sourced food and homemade cakes and sandwiches in addition to the the usual hot and cold drinks.